Would you like to work for a growing automotive company? Are you an experienced Welder? The Advance Group has partnered with a prototype company in Taylor that works with aluminum, steel, stainless and titanium seeking experienced MIG and TIG Welders. Welding positions available on all three shifts! Pay will start $16/hr., with a shift premium! Qualified candidates will have 6 months of previous experience in MIG Welding and/or TIG Welding. Donna’s many years in the Downriver staffing industry makes her a key leader in our offices. She excels at working with local companies and finding tough-to-fill recruits for local leading manufacturing environments. 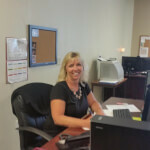 Donna’s customer service skills make her one of the top recruiting agents in our industry. She prides herself on her work and building relationships with her clients, and helping our employees become successful. When Donna is not busy finding top-quality candidates, it's all about her family and friends.